Although airlines once had a reputation for ‘doing the right thing’ by their customers, service standards have dropped dramatically in recent years, as businesses try to strip costs out. Governments have had to step in to enforce a level of care which even budget airlines must stick to. Certain rules now exist to help customers of airlines, even in extreme circumstances. So, if an Icelandic volcano was ever to halt air travel again, travellers would have a better chance of being taken care of appropriately. Knowing your rights can help you get what you are entitled to from your airline - and maybe secure compensation for any inconvenience suffered. Tweet this! Your legal rights when dealing with delays, cancellations and being denied boarding. How much compensation can be expected when the airline has acted carelessly, baggage is lost or delays are suffered. The international standards for international air travel (the Montreal Convention). ATOL protection, should the company you book with go bankrupt. The role of travel insurance. What Issues Does This Guide Cover? When Do The Flight Compensation Rules Apply? What care are you owed in the event of a delay, cancellation or if you are denied boarding? When can you claim compensation from your airline? Whilst the majority of passengers travel without any major incident, delays and cancellations can occur for a variety of reasons. In addition, airlines often “overbook” their flights on the assumption that some passengers won’t turn up, yet if they guess wrong, not everyone can travel on that flight. Luckily for passengers, there is an EU-wide set of rules and regulations covering these issues (Regulation 261/2004) that set the minimum standards you can expect (as long as your flight meets the criteria). However, some states may have even stronger consumer protection. eU Flight Delay Compensation - When Do The Rules Apply? For the rules to apply, you must either be flying from an EU-based airport or flying to the EU on an EU-based carrier. Although not technically within the EU, airports in Iceland, Liechtenstein, Norway and Switzerland are also included in these regulations, and include Icelandic, Norwegian and Swiss airlines. Helicopter flights and flights to and from Gibraltar are not included. To claim, you must not be travelling for free, or on a journey that isn't accessible to the general public (directly or indirectly), such as an air cargo or mail flight. 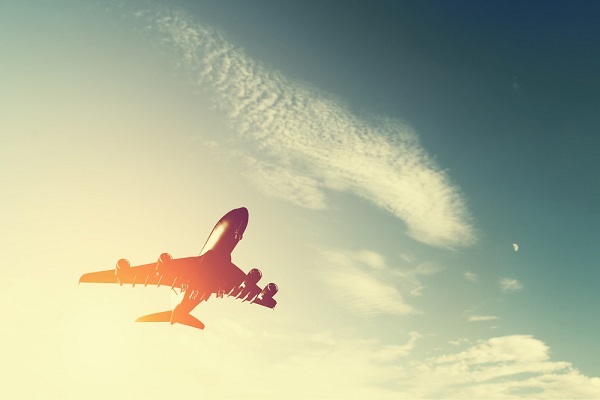 Frequent Flyer reward flights do, however, benefit from these regulations. You must also have a reservation on the flight, and, with the exception of cancellations, must have checked in according to the airline’s rules or no later than 45 minutes before departure if no rules are given. If the rules apply to the airline, it needs to display a notice inviting passengers to enquire about their rights if they are delayed by two hours or more. It must also inform passengers of their rights as and when they become relevant, such as when a cancellation or delay occurs. If you book a return flight from the EU, you should check your return flight carefully to make sure you are flying with the airline you think you are - many airlines are members of “alliances” or “codeshare agreements” which means your flight may be operated by a different airline. If it's not an EU airline, the rules will not apply on the way home - even if you bought your ticket from an EU airline. The rules apply for the trip from London to New York, as London is in the EU. The rules do not apply for the trip from New York to London as American Airlines is not an EU-based airline. The rules apply for the trip from London to New York, as London is in the EU, as well as on the trip from New York to London, as BA is an EU-based airline. The rules apply for the trip from London to New York, as London is in the EU. The rules do not apply for the trip from New York to London as the operating airline is a non-EU based airline. The rules apply for the trip from London to New York, as London is in the EU, as well as on the trip from New York to London (even though you booked with a non-EU airline the operating airline is an EU airline). The rules apply for the trip from Berlin to Munich, as Berlin is in the EU, as well as on the trip from Munich back to Berlin. The rules apply to all four legs of this flight. Although Iceland isn’t technically in the EU, the rules apply to both flights leaving Iceland, and to Iceland-based airlines. The benefits you will receive are broadly split between “care” and “compensation”. If an issue arises, you should be informed of the rules that apply and when they begin to apply. For example, at the time of cancellation or delayed boarding, or within two hours of departure if there is any delay. If your flight is 1500 km or less, then “care” must be provided within two hours of departure time. This time increases to three hours for EU flights that are longer than 1500 km (with the exception of French overseas departments), or flights to non-EU destinations beyond 3500 km. All flights beyond 3500 km require airlines to provide care after four hours. You may also be due compensation. The Court of Justice of the European Union has held that the rules provide the right to compensation, although it isn’t specifically stated in the regulations. The airline must also give you information on the expected duration and nature of the delay. Claire from London has a business meeting in Amsterdam and has booked her flight online with KLM. The flight is due to leave at 8.30 and arrive in Amsterdam at 10.30. When Claire goes to check in she is told the flight has been cancelled because there is a problem with the plane. She is offered a replacement flight at 11.35 which arrives in Amsterdam at 1.35. Claire is entitled to £210 in compensation from KLM because of the cancellation, both the departure airport and the arrival airport are in the EU and the distance dictates the compensation awarded. The airline must reroute you as early as possible, or provide a refund if the trip no longer serves its purpose. You can request to travel at a later date instead, but this is subject to availability. Your eventual travel must be the same class as you originally booked. If your destination has multiple airports, the airline may route you via a different airport in the same city. However, it must make arrangements to get you either to the original airport or another nearby destination that you agree to. If your flight is cancelled one to two weeks before your journey, the airline may escape paying compensation if it ensures you leave no earlier than two hours before you originally were scheduled to fly, and arrive no more than four hours later. If you were informed less than one week before, this reduces to one hour before and two hours after. The airline must inform you of this change, and must be able to show it informed you. The airline must also offer you “care” if necessary – for example, if you need a hotel whilst you wait. Changes made beyond the two week window aren’t considered short notice and do not receive any of these benefits. If the airline expects to deny boarding, it must first ask for volunteers to not board the flight. It will likely offer a range of incentives to encourage volunteers, which should be negotiated. As well as incentives, they must also offer the volunteer a refund or rerouting assistance. However, if the airline doesn't get enough volunteers then they will be forced to deny passengers against their will. The airline must offer those that are denied boarding compensation as well as care, and either refund or reroute them. If you’re being upgraded in travel class, the airline can’t charge you extra, but is forced to give you a discount if they have to downgrade you. What Care Should Be Offered in the event of a delay, cancellation or if you are denied boarding? If you have special needs, these should also be taken into consideration in the care it offers you. However, if you are rerouted and your arrival time is within two, three or four hours respectively, the airline may reduce this compensation by half. This compensation is the current minimum requirement. Courts can, at their discretion, make further compensatory awards. Compensation is not available where the issue is due to an “extraordinary circumstance” and when the airline is not at fault. To be considered an extraordinary circumstance, it must be unpredictable, unavoidable, and external. If the disruption affects all airlines, it's usually an extraordinary circumstance. Some examples are: closures of airspace; where an airline has to deal with an unruly or ill passenger; adverse weather conditions; or, unexpected damage to an aircraft. However, maintenance issues and staff shortages are not usually considered extraordinary. The EU has a draft list of events which help illustrate this, available here. Although these events may prevent you from receiving compensation, you still should be offered care and assistance by the airline. In terms of care, the airline should proactively offer you this during the delay. If they do not, you should speak to the airport staff. For compensation afterwards, you should contact the airline directly. Many will have specific contact details on their website for claims. If you are not happy with the airline’s response you can contact what is known as the “enforcing body”. If you are leaving the UK, or arriving on a UK airline from outside of the EU, you should contact the Civil Aviation Authority (CAA). For flights departing other EU states or other EU airlines, you need to contact the enforcing body in that member state (and not the CAA). The EU has a full list of these bodies here. If you are still not satisfied, you may be able to raise a court action (much in the same way as you could raise a court action to claim for personal injury). Much of the Montreal Convention governs a passenger’s experience on a trip and defines airline and airport procedures. This maintains good international operations and a successful global air transport system. Importantly for travellers, the Convention also provides rules on an airline’s liability to you if things go wrong. Perhaps confusingly, the Montreal Convention uses a made up currency called “Special Drawing Rights” when calculating the maximum liability due to airline customers. At the time of writing, 1 Special Drawing Right is worth about £0.94, but like regular currency conversions, this can change daily. It is also worth bearing in mind that the claim amounts are reviewed every five years. The next review is due in late 2014. The Convention allows you to claim if you have been delayed, but your airline may escape liability damages if it can prove it took all reasonable measures to avoid the damage, or if it was impossible for them to take those measures. The maximum liability for this is 4,694 Special Drawing Rights (approximately £4,488). Under the Convention, an airline has 21 days to find a lost bag. If they cannot find your bag in this period they are liable for up to 1,131 Special Drawing Rights (approximately £1,023) unless a higher value has been pre-agreed with the airline at check in. In the event of death or injury (on board or while boarding or disembarking), the airline cannot limit or argue against its liability when a claim for compensation is less than 113,100 Special Drawing Rights (approximately £102,261). Above this figure, the airline may be able to limit its liability if it can show it wasn’t negligent, or that someone else was the cause of death or injury. If you want to complain, you should contact the airline first. If you are unhappy with the response, you can complain to the CAA, which will try to help resolve the dispute. If this fails, the Montreal Convention states that you can raise a court case in either the home country of the airline, the destination country, or in your country of residence (as long as the airline has a presence there, and your ticket was booked through it). Where death or injury is involved, you can also raise a claim in the country where the person lived provided that the airline operates there (even if it’s another carrier which operates there on its behalf). The Montreal Convention applies in 103 different countries, so it is likely to apply to most airlines you book with. ATOL protection only applies to travel booked in the UK. Although this scheme has been around since the 1970s, changes in how we book travel arrangements have limited its scope. When the scheme began, the most common way to book a holiday was through a travel agent and to book all of the elements of a holiday together (flights, accommodation and perhaps car hire). In the unlikely event that your travel agent or tour operator ran into financial trouble, ATOL protection would ensure that you either didn’t lose your money (if you hadn’t left yet), or didn’t get stranded (if you were already away). If one operator collapsed (say the airline closed down) the travel agent would have to find a new flight for you. The scheme still exists and is mandatory for UK-based travel companies. It applies to any booking which is for flights and either accommodation or car hire (or both), or any holiday which includes a flight either to, or from, the UK. If a flight is booked, but the ticket is not issued straight away, you are also covered. But if you book a flight only, cover ends when it is ticketed. The scheme is operated by the CAA, and your travel company should show their ATOL credentials and issue you with an ATOL certificate when you book with them. A scheduled airline is not considered a “travel company”, so ATOL protection does not apply if you book direct with an airline - even if you book a hotel on the airline’s website; it only applies if you book with a separate company. ATOL protection also doesn't apply if you book a hotel or car hire without a flight in the package and it only applies to UK travel companies. Virgin Atlantic is an airline rather than a travel company, so ATOL protection will not apply if you book direct with them. Virgin Holidays is a travel company, so ATOL protection will apply if you book a holiday package (which includes a flight) with them. If your travel company has collapsed, the CAA website will inform you of the steps you need to take. If you are flying on a non-EU country’s airline, it is worth checking with their national Aviation Authority what rules apply, as well as the customer service section of their website. The Foreign & Commonwealth Office typically recommends that travellers take out travel insurance. In the event of delays, cancellations and medical issues, insurance can help you make alternative arrangements. You should check the payout figures when purchasing a policy to ensure it covers your requirements. Travel insurance can also help cover your baggage and belongings beyond the limit of liability given in the Montreal Convention; but before taking out baggage cover, check your home insurance policy - it might already cover your baggage and personal belongings worldwide and can save you paying extra for something you don't need. Travel Insurance may also cover you if your airline or travel company goes out of business. If you are a UK-based traveller, the majority of your rights are secured through EU law covering delays, cancellations and being denied boarding. You could be entitled to compensation for delays and cancellations, depending on the length of your delay (as long as this isn't because of extraordinary circumstances). However, this only applies on a flight from the EU, or when flying into the EU on an EU airline. The rules apply when you fly from the UK, but remember they only apply on the way back if your airline is based in the EU. Whilst “Extraordinary Circumstances” may limit your right to compensation for a delay or cancellation, airlines must still offer you “care”, including food, accommodation, and phone calls. The airline should inform you of your rights for care and compensation, as and when they apply. If the EU rules don’t apply, you can claim for damages caused by your delay under the Montreal Convention. These rules also detail what the airline is liable for if they lose your bag, or if you are injured on the flight. ATOL protection will cover your travel being disrupted due to an operator going bankrupt, but will not cover you if you book with an airline direct, and it won’t cover accommodation booked without a flight. Liability for harm to you, and your baggage, is limited by international treaty. Having your own insurance is vital to adequately cover your baggage as this limit is very low. Although your rights may seem extensive, you should not travel without proper insurance. For further guidance contact us here.